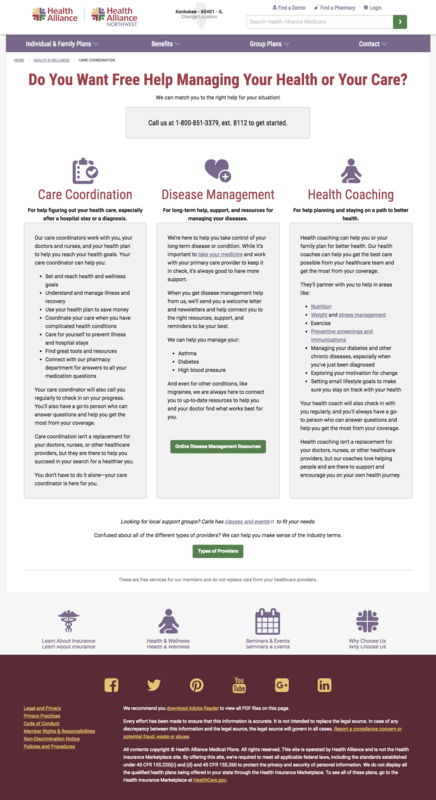 When I arrived at Health Alliance, I developed our web content style, based on Yahoo! style, as a basis to build our brand’s voice. 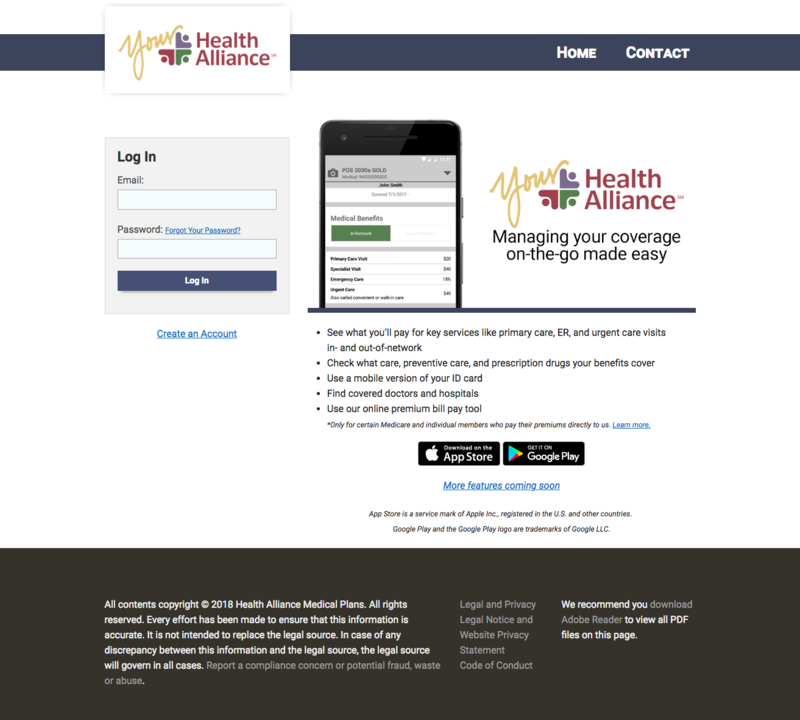 From there, I rebuilt our content across every single page of our websites with clear, straight-forward, and friendly language to make insurance and its confusing terms easier. Organization, consistency, strong calls to action, scannable writing, and avoiding repetition were key to streamlining our content. Reinforcing our brand identity through a narrative was also an important part of reinventing our websites and establishing a strong web presence. User experience, intuitive design, and a sales funnel were also overarching changes in improving our sites’ experience and flow. I also focused on building out education that helped people make sense of insurance. 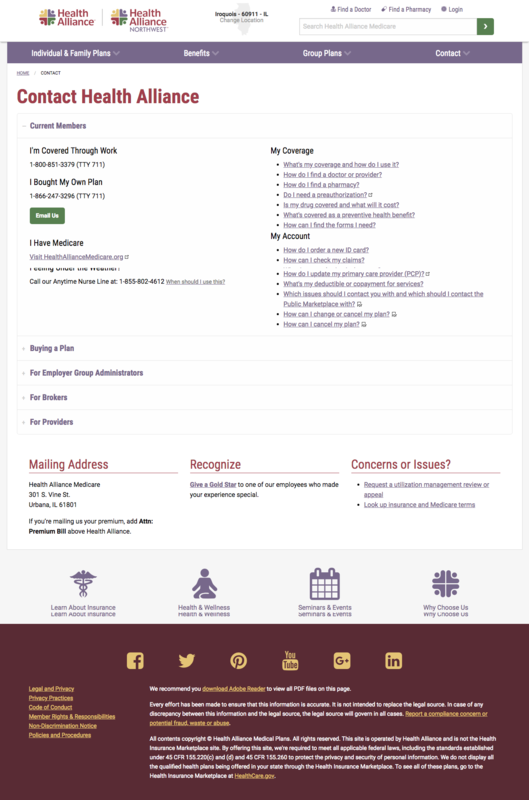 Our Understand Insurance section helped make sense of buying insurance and using it to get care, and our Benefits page was redesigned to help customers quickly connect to the resources they need most. This is the brand narrative I wrote and helped design for our homepage to increase engagement. I wrote, designed, and coded this page as part of my management of all app marketing. 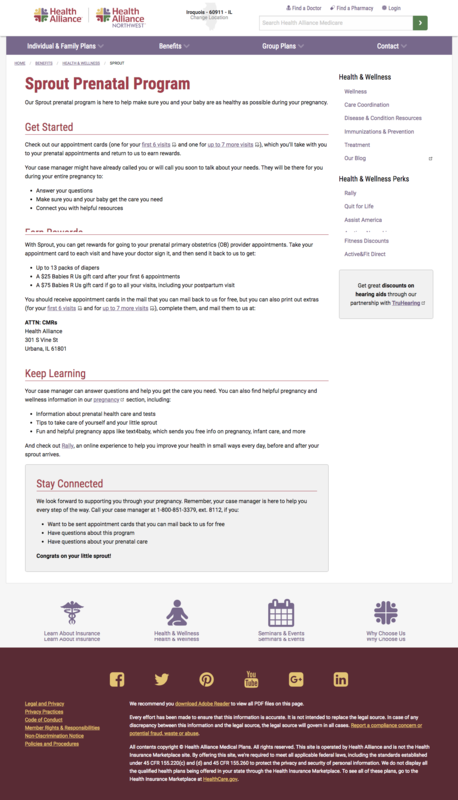 I wrote and helped design this CX-focused page as a landing page for members to connect to key parts of their coverage without logging in. 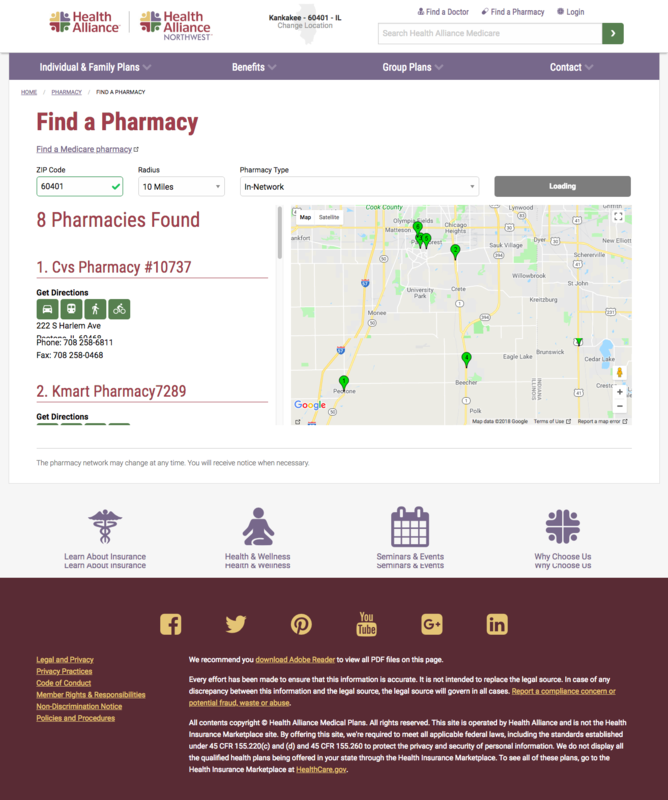 When I first started, we didn't have a way for members to search for a pharmacy. I helped lead the project to have this search created. When I first started, we didn't have a way for members to search for events by location, instead we just had a messy calendar. 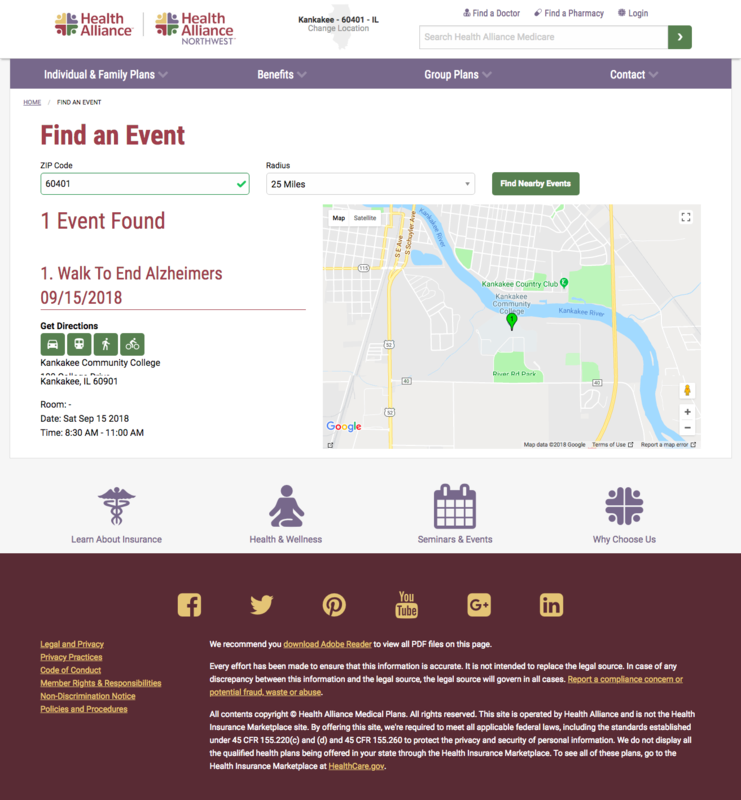 I helped lead the project to have this search created. I wrote and built this simple page on our successes and worked to keep it up-to-date throughout the year. We have many different paths of contacting us for different types of members and partners, so we built this UI to make it easier. 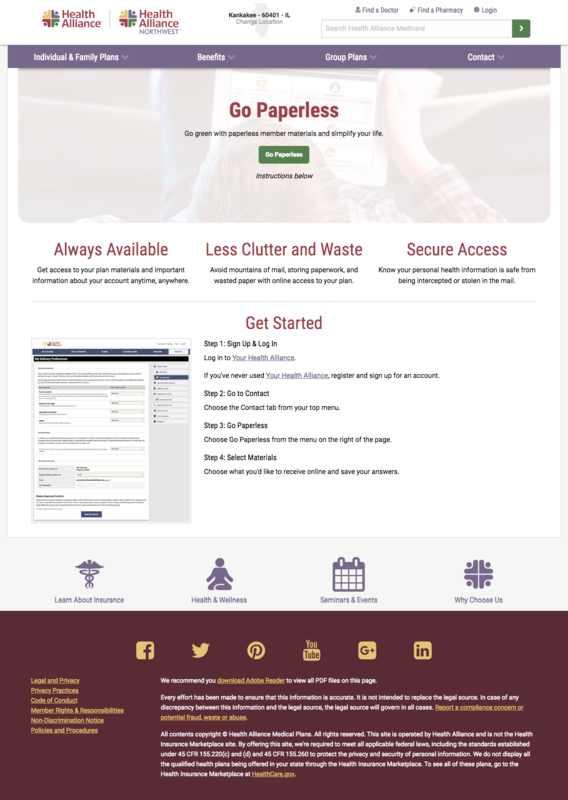 I wrote and helped design this page to help drive and instruct members on how to go paperless. 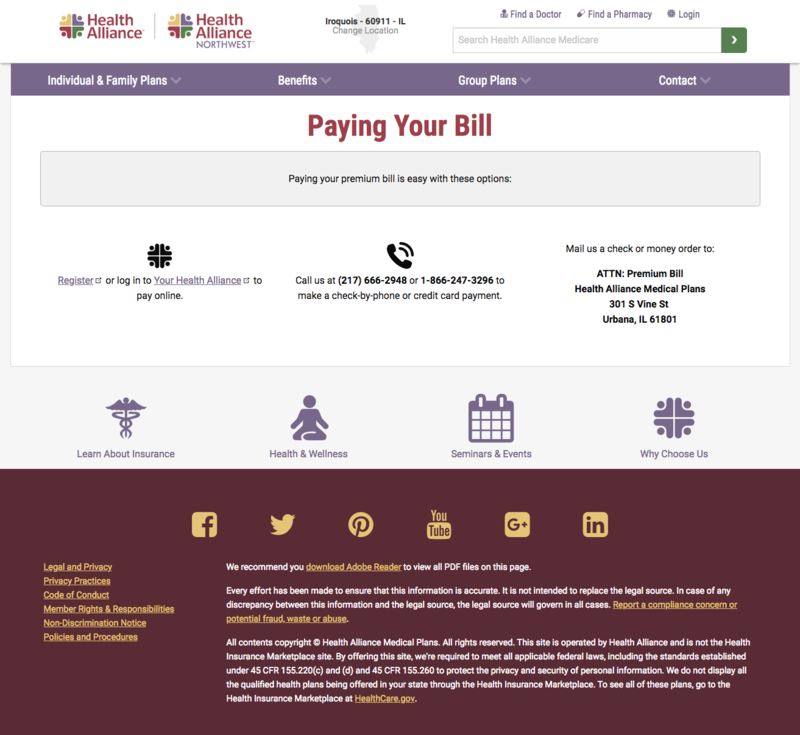 Members were struggling with how to pay their bills, so I wrote, designed, and coded this simple landing page to help them get started. 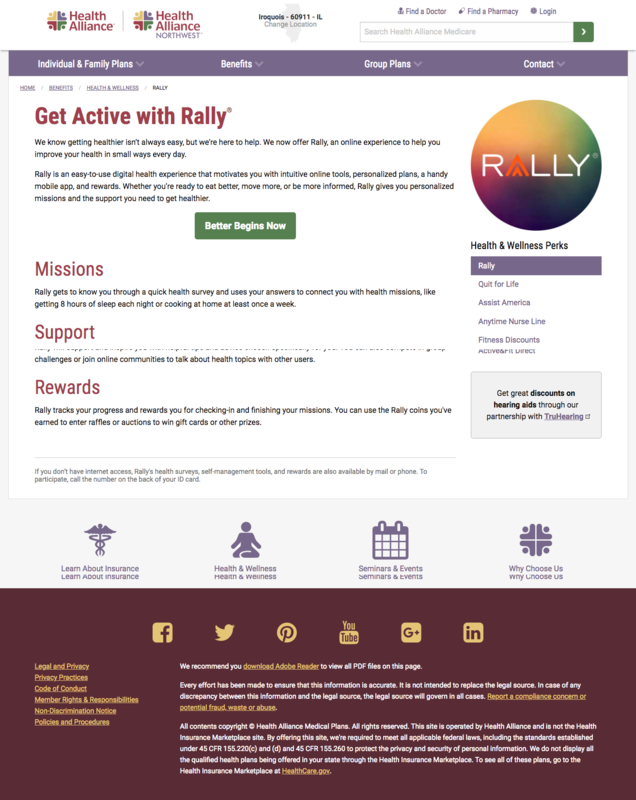 Landing page log in that was re-worked to focus on members. I wrote this page and designed the graphic. 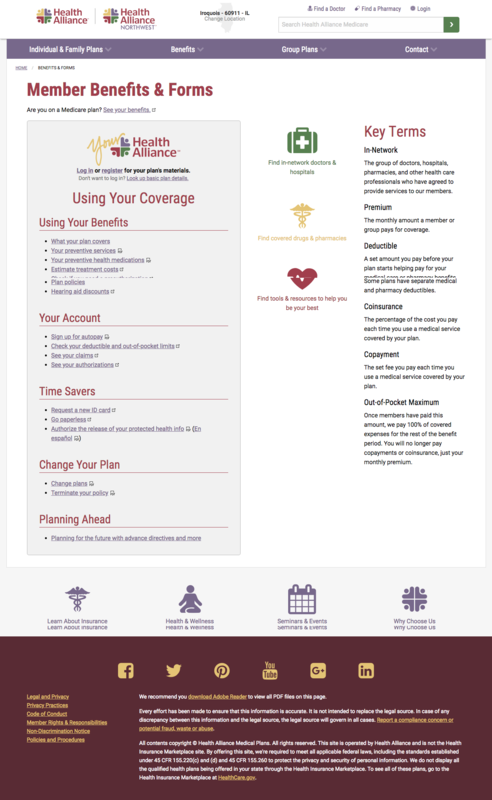 We needed a quick and easy landing page for individual insurance shoppers to funnel them to our direct plans or to the public marketplace. This was our solution. 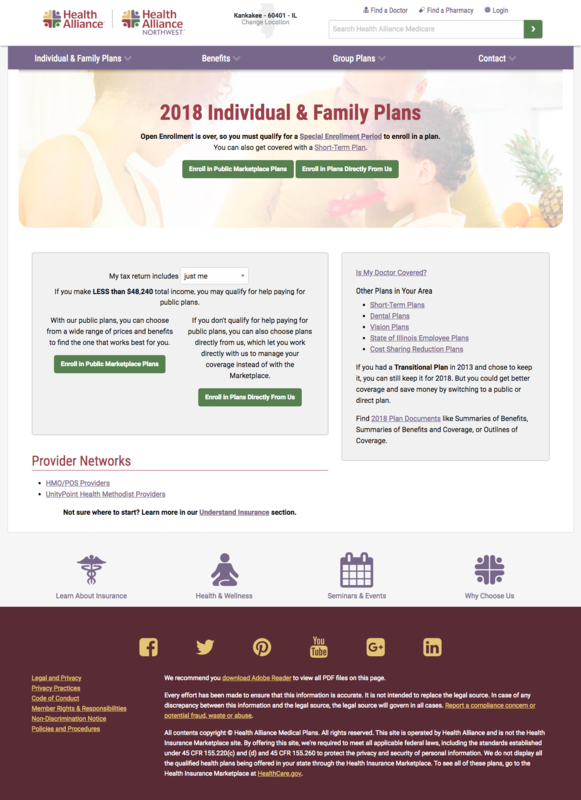 We partnered with certain providers to build custom plans for their region. 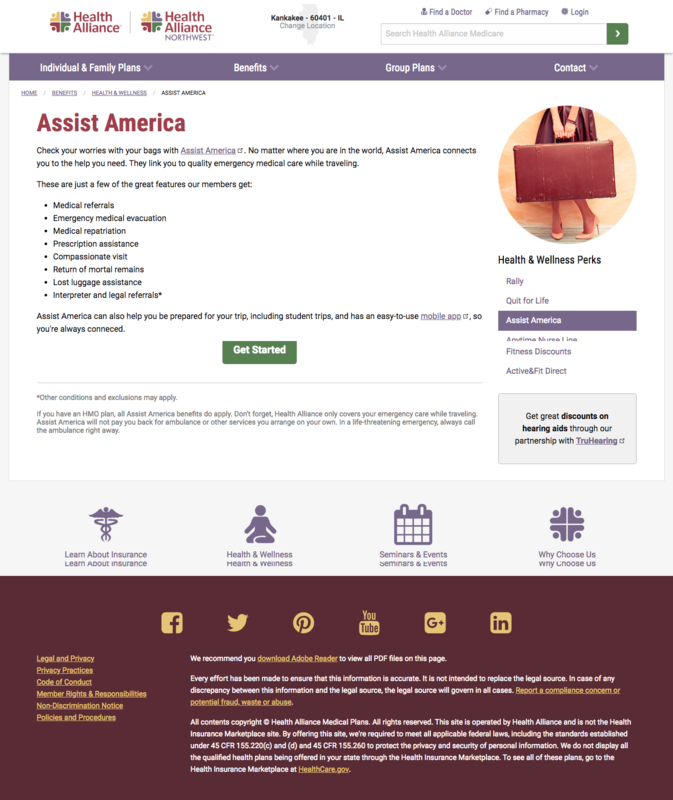 This is an example of what those landing pages looked like. I built many of these pages from scratch. 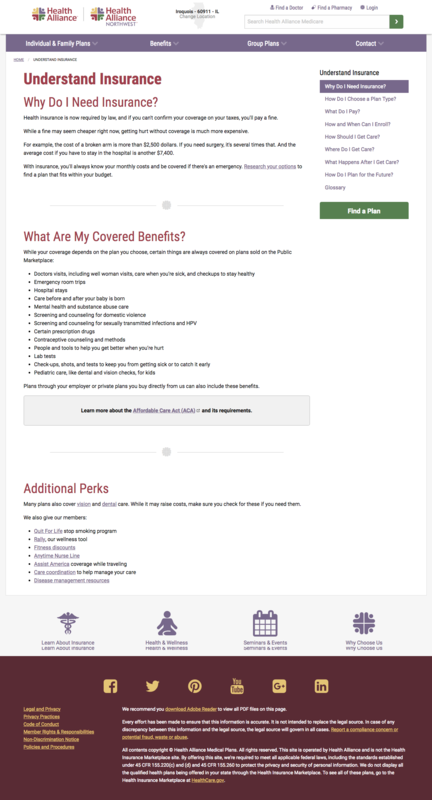 This is an example of a plan page that listed out benefits, using our short-term plans at the time. Our dental page was once mostly a link to a PDF. I hated this user experience, so I broke the information out of that PDF into this page, writing, designing, and coding it myself. 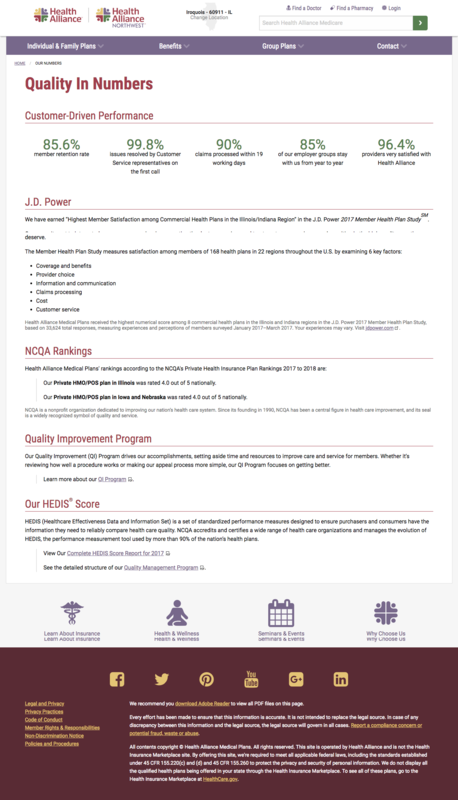 Vision details were on a PDF previously, and like with dental, I spearheaded the effort to get all of this onto a landing page to improve user experience. 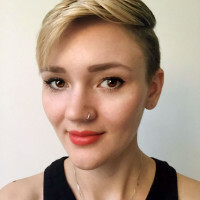 As web strategist, I led a project to overhaul the groups section of our website. I wrote, designed, coded, and managed all aspects of this project. The next few pages were part of this redesign. 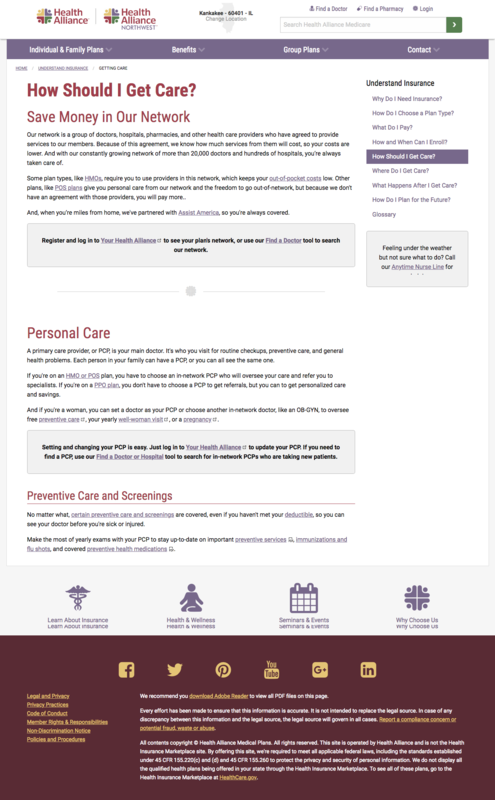 I wrote, designed, coded, and maintained this educational section of the website as a pet project to help members better understand the basics of health insurance. 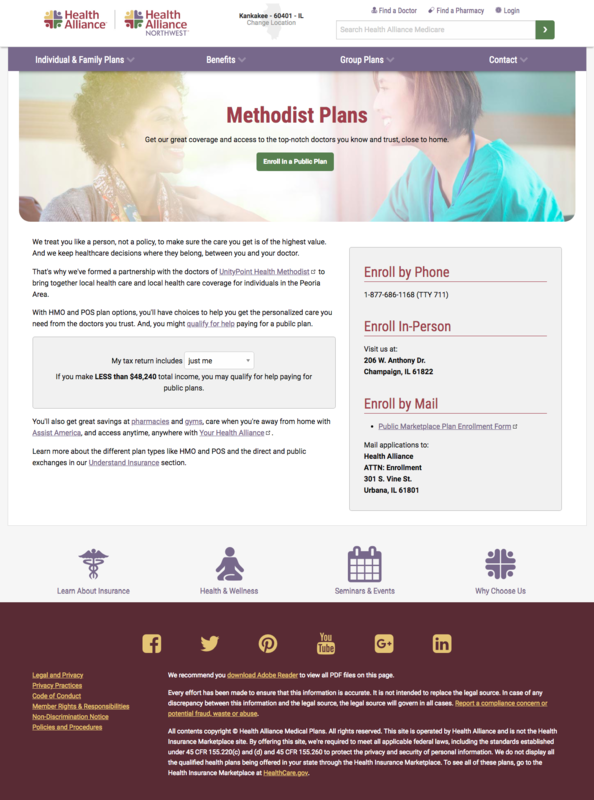 This project was also focused on boosting our SEO for health insurance topics. The following pages were part of that project. 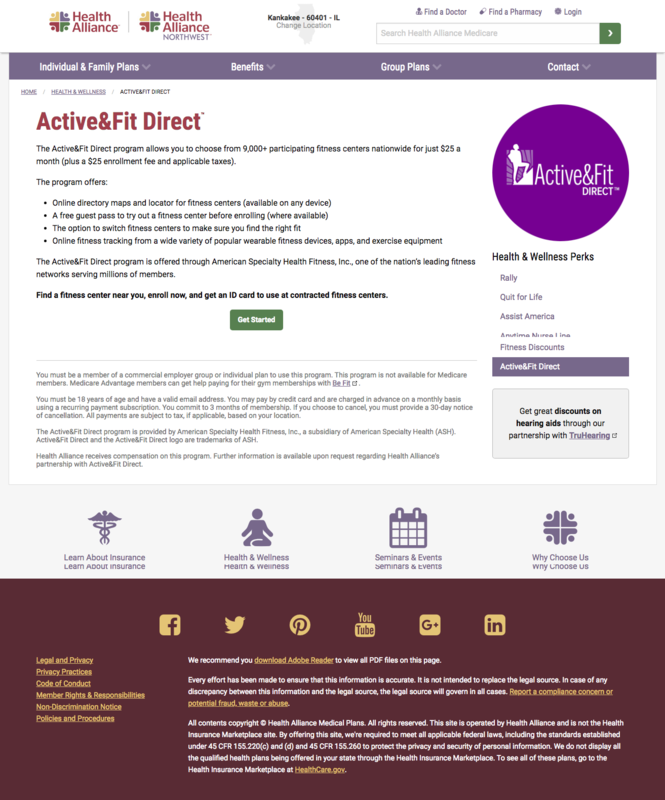 The health and wellness and perks section of the website was another one of my pet projects. I wrote, designed, coded, and maintained it as well. The following pages were part of this section too.